Melissa comes to Egan Sign with over ten years of experience in project management. 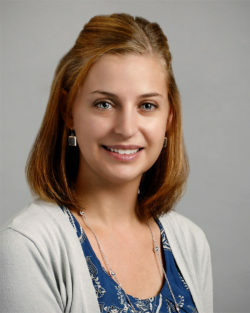 Most recently, she was employed at Adelphia Graphics Systems as a Junior Project Manager. At Egan Sign, Melissa will ensure project fluidity by serving as a liaison between project management, graphics, and new business development. She will assist in all aspects of project management, with a focus on new and key accounts. “I am excited to join an organization that is committed to exceeding client expectations and providing superior service,” said Melissa. “I look forward to applying my creative and technical background as part of the Egan team.” Connect with Melissa on LinkedIn. Egan Sign was recently ranked ninth in the Greater Reading Chamber of Commerce Top 50 Businesses. The company has recently promoted Allison Snyder and Susan Weaver to Project Managers in the past months. To learn more about Egan Sign and its sign management capabilities, visit www.egansign.com.